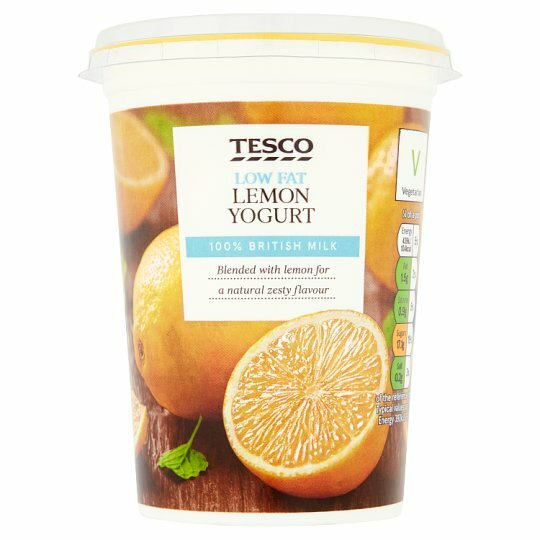 Low fat sweetened lemon flavoured yogurt. INGREDIENTS: Low Fat Yogurt (Milk), Sugar, Lemon Juice from Concentrate (2.5%), Lemon (1.5%), Cornflour, Flavouring, Colour (Curcumin). Keep refrigerated. Once opened, consume within 3 days and by 'use by' date shown. Not suitable for home freezing.